Big congratulations to Tim Spreadborough from Hire A Hubby Wynnum, who is our new ‘top Hubby’ after winning the ‘National Franchisee of the Year’ title at our national convention in Melbourne recently. Tim not only achieved excellent business performance over the past year, including reaching almost $500,000 turnover, but also contributed immensely to improving the Hire A Hubby network and helping out fellow ‘Hubbies’, a trait we hold in high regard in our business. 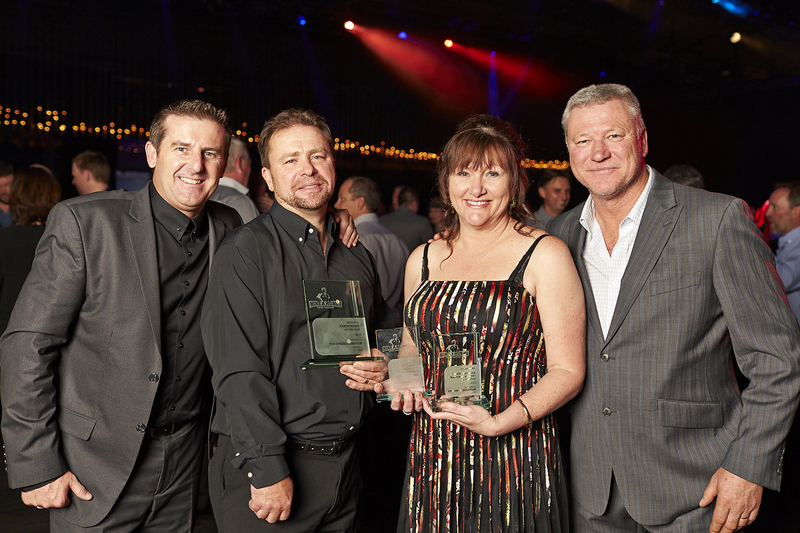 Here’s a photo of Tim and his wife Julie receiving the award from our CEO Brendan Green and our ambassador Scott Cam. “Winning this award is a huge pat on the back and I thank everyone for their support – from the Queensland and National Support Office through to my fellow Queensland franchisees,” Tim says.